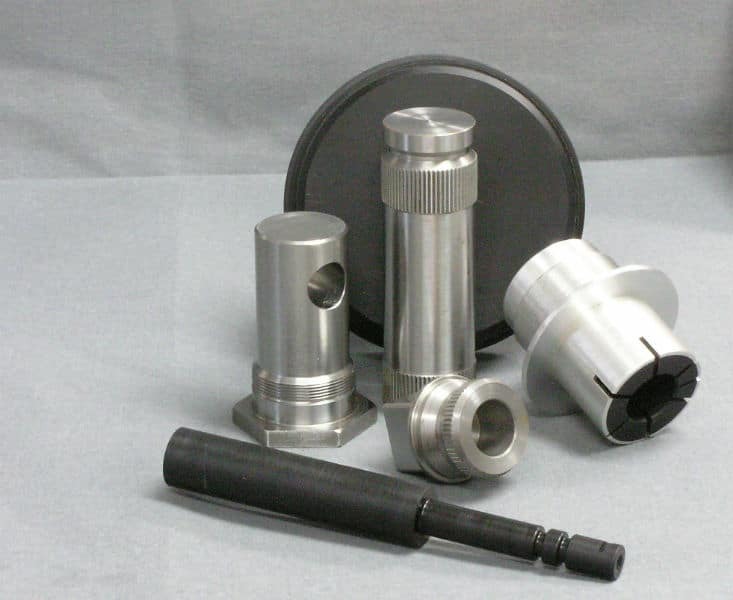 up to 2" in diameter with tight tolerances held to +/- .0002"
Since 1958, Forster Tool has specialized in providing precision CNC Lathe made parts for a variety of industries. These include the Aerospace, Medical and Automotive industries. 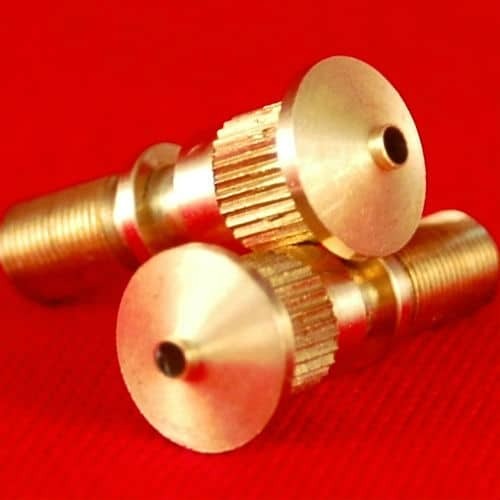 Our experienced staff provides cost effective CNC Turning solutions for to create the best CNC turned parts. Forster Tool is committed to top quality, tight tolerances, and maintains AS9100D and ISO 9001:2015 certifications as well as ITAR registration. 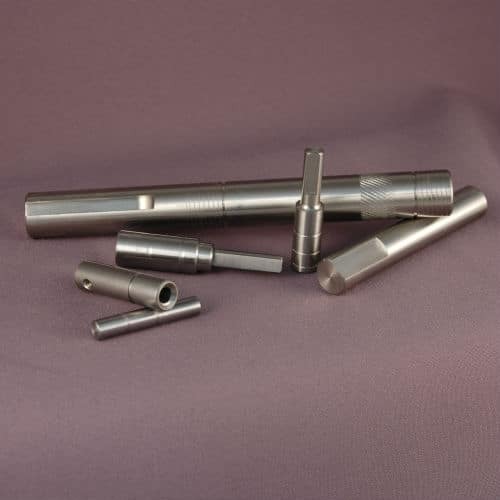 CNC turning is a process that machines parts by "turning" a rod material. The rod is fed through to a cutting tool and then material is shaped into a finished product. In CNC turning, the cutter is normally fed through a rotating work piece and this rotating work piece typically uses a variety of different angles as well as many different tool shapes. 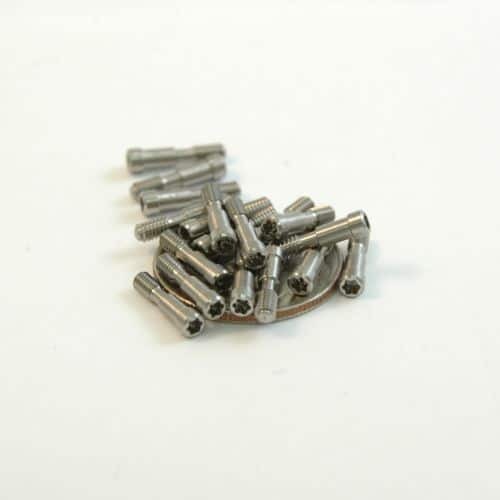 CNC turning is generally used for creating parts that are symmetrical near their axis. For example a chess pawn would be a part that is symmetrical near its axis. The shapes that you can create using CNC turning vary greatly though and with the addition of other machining processes, the possibilities are endless! While most people use CNC turning to create turned parts that only utilize a single axis, it is also possible to use ones that have more than one axis. This allows for more flexibility. Have more questions about turning? Give us a call at 630-616-8177 or use our easy to use online contact form here! 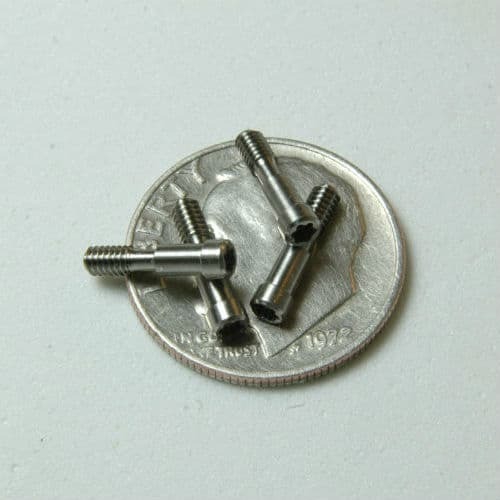 CNC Hardinge Elite 51Screw Machines turning diameter=2.00"
CNC Femco HL 25 Lathe turning diameter = 2.00"
Forster Tool offers extra value that other manufacturer simply cannot. We have secure servers that will keep your information protected, and with data breaches becoming more and more common place, this is invaluable. Our practices we have adapted to fit AS9100 and maintain certification add care and extra quality measures. This helps to ensure tolerances are kept, runs are consistent, and most important of all, that bad parts are caught before they leave our shop floor. Being AS9100D and ISO 9001:2015 certified and ITAR registrered proves that Forster Tool will go the extra mile and more for our customers. 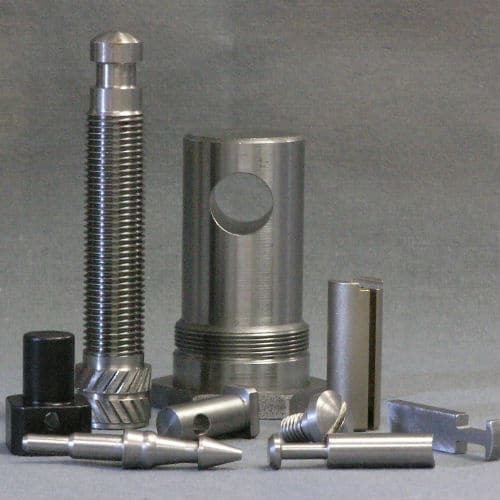 Please contact us today with any questions you may have about CNC turning, CNC milling, and/or precision machining. We are standing by to answer any and all questions you may have, because when it comes to CNC turning, you wont find a better company than Forster Tool! to find out how our CNC Swiss Turning experts can help!